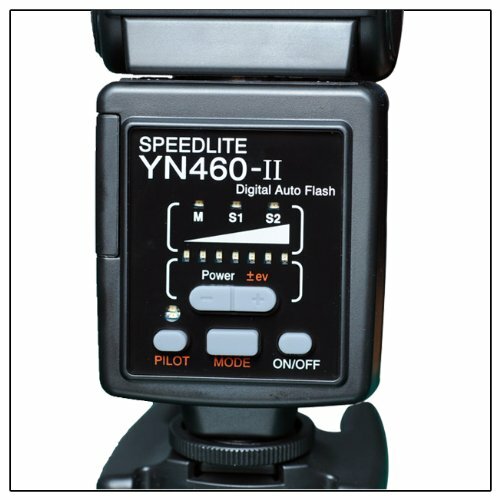 New upgraded Flash Speedlite for YN-460, more powerful and convenient. 3, The recyling time is much faster than the first version. It also keep the function as the first version, you can use it in Manaul mode and slave mode (S1, S2). Suitable for all DSLR Camera with standard hot shoe, such as Nikon, Canon, Pentax, Olympus, and so on. Note: You can use it with Flash Trigger RF-602, YN-16, CTR-301 P, PT-04 TM. Pls kindly noted : the goods will be shipped from China Port and arrived in 7 days approx.